I couldn’t find a photo of one of my favorite houses when I did my first post, so I have to publish an addendum to my “Places People Live.” This is the house of my friend Candace, who loves color, as I do, and her husband Bob. I’ve now added it to the collage, but for those of you who have already seen my earlier post, here is another wonderful place where wonderful people live, and HERE is the original post of all of the houses. For Cee’s Fun Foto Challenge. This entry was posted in Photo Challenges, Uncategorized and tagged Cees Fun Foto Challenge, Colorful images, Houses, unusual houses on November 6, 2018 by lifelessons. From Wyoming to Missouri, from Prince Edward Island to Mexico. from California to South Dakota to Minnesota, to Maryland this is where and how people live. Ocean, lake, forest and plains, there is as much variety in where we live and the houses we live in as there is in our personalities. Viva la Difference!!! This entry was posted in Horses, Uncategorized and tagged Cee's Fun Foto, Houses, places people live, unusual houses on November 5, 2018 by lifelessons. This entry was posted in Doors, Houses, Images of houses, photos of houses, Thursday Doors Challenge, Uncategorized and tagged house exteriors, house interiors, Houses, modern houses, Thursday Doors, Thursday Doors Challenge, unusual houses on October 12, 2017 by lifelessons. This is not quite what I have in mind, but it was the only one-story X shaped house I could find on Google images. I would love to have the money to build another house on the land I own that adjoins my own lot. It would be one story high, so as not to impede my view. It would be in the shape of an “X” with a common area in the shape of a large donut in the middle. In the very center (the hole of the donut) would be an atrium with one or two large trees filled with hanging wire baskets stuffed with spagnum moss that would be the home of bromeliads and orchids. The ring part of the donut would contain a kitchen, dining room and living room/game room–all interconnected but with sliding glass doors out to the atrium. 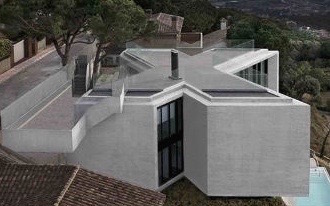 Each of the arms of the X would have a bedroom, living room, bathroom and study/art studio. At the end of the lot nearest the street and adjoining my studio with a little stile-like bridge that extends over the wall between the upper and lower lot would be a larger art studio with saws, buffers, polishers and drills as well as more space for storage, group activities and classes. The art studio would be on the second level, with a commodious elevator capable of taking larger sculptures and people down to street level. Since that lot is much lower than my lot, the second story would be on the same level as my studio. The first level would be another living space that ties in with my main purpose for building this house. I want to create a space where three or four of my friends or relatives could come to spend their old age. If there were four, the space under the studio would be a living space for a caretaker/nurse/housekeeper. If I got too feeble to live in my house, I’d move into one of the legs of the house below. Otherwise, I could visit my friends or relatives there. If it were necessary, a nurse or housekeeper/cook could occupy one of the legs of the “X.” It would just be nice to be able to all be together to face old age as well as to keep each other young and silly for as long as possible. The Prompt: Tell us about the one luxury item you wish you could afford, in as much detail as you can. Paint a picture for us. This entry was posted in Happy Endings, Houses and tagged Houses, Retirement, retirement communities, retirement living, the perfect retirement house, unusual houses on January 8, 2016 by lifelessons. Walter Thornton the owner (not John Robert Powers, who was his competitor) spent 30 years building this house. 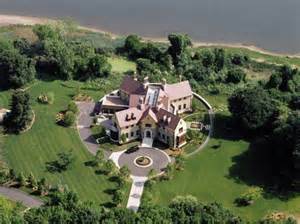 He bought the house when it was under construction and added many rooms through the years. 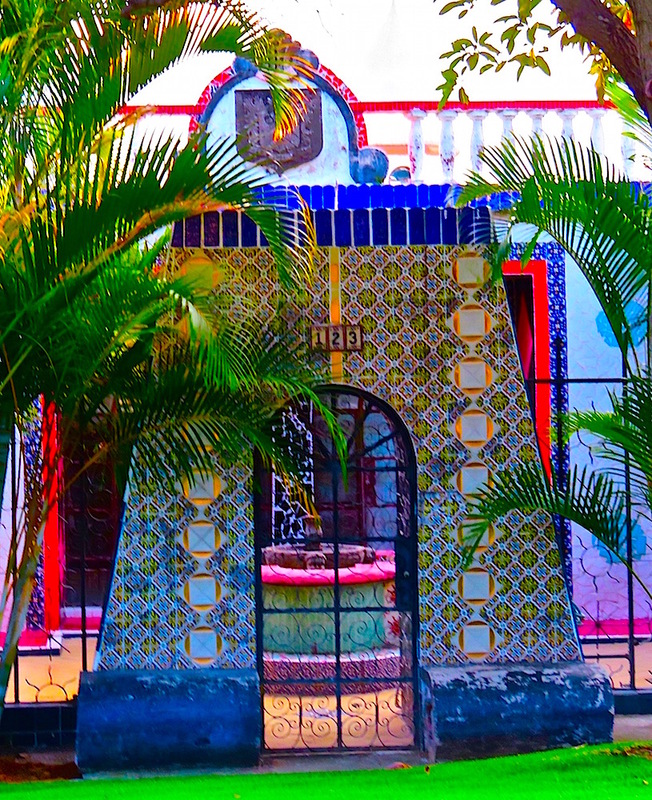 He traveled to Guadalajara very often to buy tile and had it delivered to the house. Then he worked on the designs, his hands where always blistering from the cement. He employed 2 to 3 people at all times, all this while raising 6 kids. He wanted to build 6 bungalows, one for each kid, but he died before this could happen. The property has 3 bungalows. You can check his bio HERE. Look below at barbwit’s comment if you’d like to see another fantastic tile house in Albuquerque, New Mexico. This entry was posted in Images of houses, Thursday Doors Challenge, Uncategorized and tagged Ajijic, doorways, images of buildings, John Rogers Powers, Thursday Doors Challenge, Tile House, unusual houses on December 6, 2015 by lifelessons.